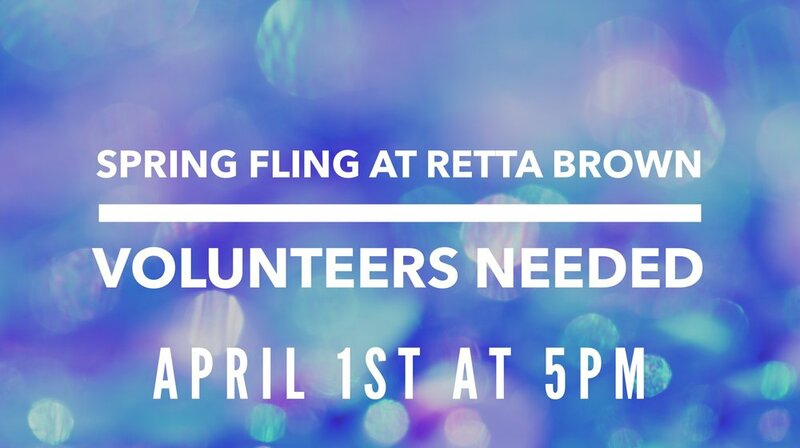 On the evening of April 1st we have the opportunity to join with Retta Brown School for their annual Spring Fling. This event transforms the school in to a carnival where the students and their families can play games, eat food and have a great time together. We need your help that evening running the games and assisting the staff at Retta Brown. The event will begin at 5pm and will only last a couple of hours. If you are available to help, please sign up below. Thank you so much for serving the students of Retta Brown School. Thank you for signing up! We will see you at Retta Brown on April 1st.